Could vaccines be delivered without a needle? No one loves to get a vaccine - some have a full phobia of the needles associated with the process. However, getting vaccinated is essential to maintaining herd immunity, covering yourself and protecting those that are most vulnerable to diseases (e.g. elderly and young children). Luckily, new innovations are under way to deliver vaccines in a pain-free way, but it will be some time before the efficacy of these advancements is revealed. FluMist, a nasal flu vaccine, posed a promising alternative to the annual flu shot. However, the Centers for Disease Control and Prevention cited a lack of evidence that it works and recommended against using it for the 2016-2017 flu season. A Canadian study emerged to contradict the CDC's findings, showing that the shot and the nasal vaccine were equally effective. That said, the study's author admitted that there are shades of gray at work that complicate the ability to analyze flu vaccine data, NPR reported. 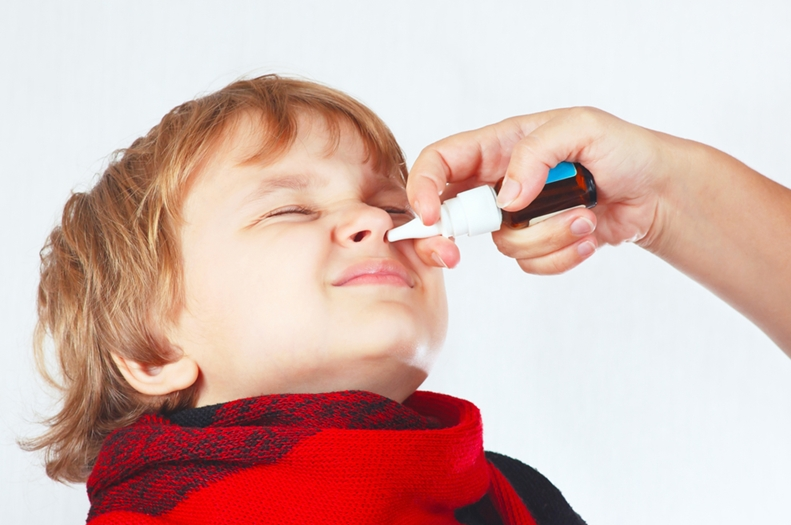 Nasal vaccines are already being used but need more research. The problem here is that the two research groups used different types of vaccines (trivalent versus quadrivalent) and surveyed different groups of people. These variances are enough to skew the results and make both doctors and patients skeptical of the alternative. More research must be done to ensure that FluMist can protect against the four most prominent strains, as the shot does. "Research is under way to deliver vaccines orally in the future." Oral vaccines on the horizon? Pills and liquid medicines are by far the most popular choices for medication delivery. Unfortunately, vaccines haven't quite reached that point in development yet, but research is under way to deliver vaccines orally in the future. Professor Simon Cutting, from the School of Biological Sciences of Royal Holloway, is leading a study to use oral vaccines to increase immunity against certain illnesses. According to Medical News Today, Cutting is analyzing the biology of Bacillus subtilis, which were found to be perfect for transporting antigens and boosting immune responses. In short, the bacterium can carry vaccines and be sent through a nasal spray, oral liquid or capsule. Vaccines currently have a limited shelf life and must be kept under strict conditions to ensure efficacy. The bacteria wouldn't require cold storage, which remains a major pain point with current vaccines. This will make oral vaccines much safer to administer and easier to keep fresh, lowering the risk of adverse outcomes. It will be particularly beneficial for areas that don't have the necessary resources to maintain vaccines. Studies and trials will be ongoing to determine if oral vaccines are effective as well as how patients and doctors will be impacted by this development. Needles are arguably the worst part of any vaccination. There's already work on nasal spray and oral alternatives to improve the experience without sacrificing the efficacy of the vaccine. More research must be done to prove the capabilities of these options and how well they cover illnesses like the flu, HIV and tuberculosis. As the technology progresses, keep an eye out for more vaccine delivery possibilities in the future.